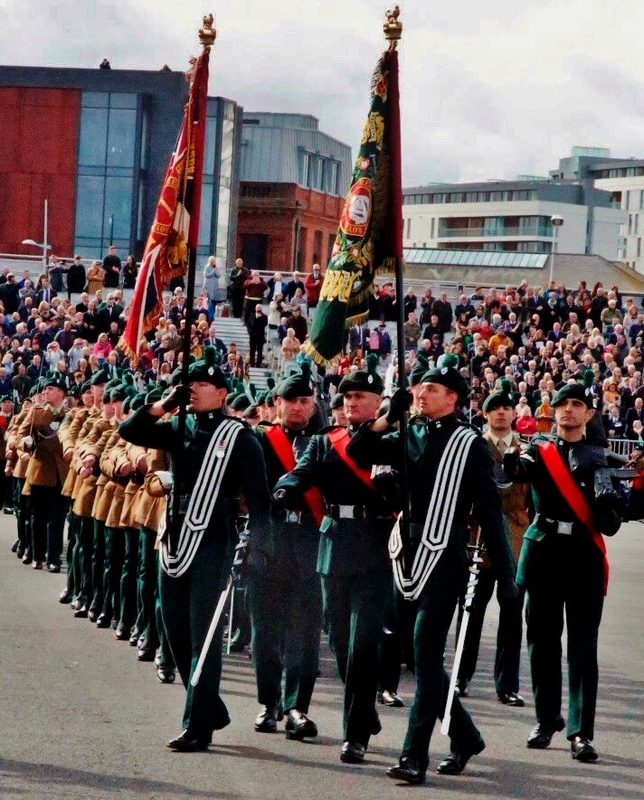 New Stands of Colours were presented to the 1st Battalion and the 2nd Battalion The Royal Irish Regiment by the Colonel in Chief, HRH Prince Andrew, Duke of York, at the Titanic Slipways in Belfast on Saturday 22 September 2018. 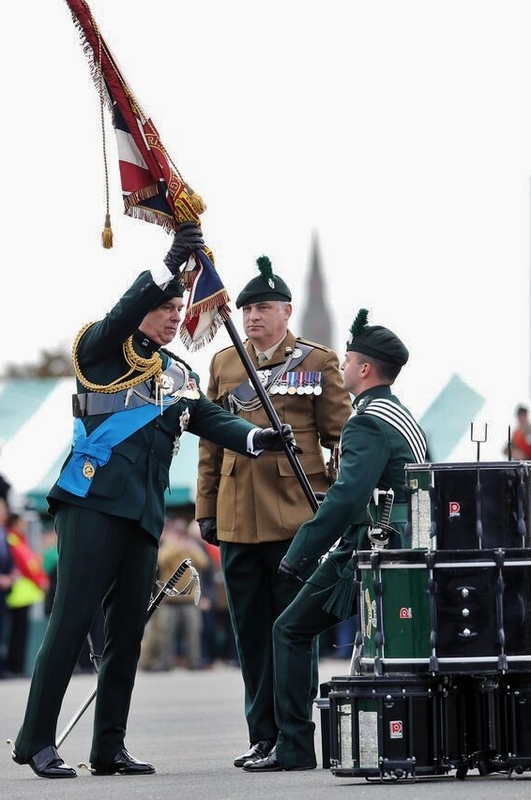 The Deputy Colonel of the Regiment, Brigadier M B Murdoch, as parade commander, ordered a Royal Salute to greet The Colonel in Chief, who was accompanied by the Colonel of the Regiment, Brigadier (Retired) J S S O'Sullivan. 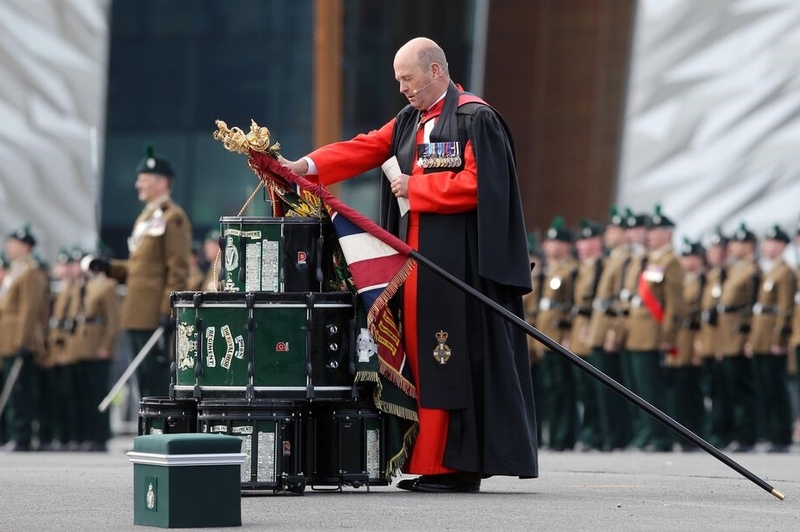 Following the inspection of the Regiment on parade by the Colonel in Chief (above), the new Queen's Colours and Regimental Colours were consecrated by the Chaplain General (left), Rev Dr David Coulter, before being presented by HRH The Duke of York. It is my very happy duty, and I have been charged by Her Majesty, to present these Stands of Colours in replacement of the Colours that have served so well over the last twenty-five or so years. 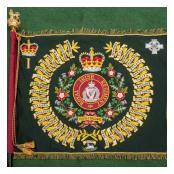 This Regiment has a proud and honorable history and I know that current operations are at a high tempo for both Battalions and I know that you rely as much on your families and the strength that they give you as you do the strength of your comradeship amongst each other. 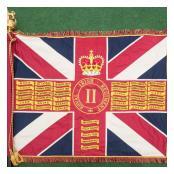 The Colours and the Regiment then marched past the Colonel in Chief and off parade to serve with our two battalions.